This has been an issue for a long time but it still remains one. Timestone has a weird way of sorting numbers. It will sort numbers based on the first digit, regardless of the actual value. For instance, 1111 will come before 703, despite the value being higher. The main issue is that when I print to jpeg, windows will correctly sort the 703 before the 1111 because the value of the number is smaller. This causes issues when trying to print item sheets sorted by homerooms etc. Especially when using the "stacked" feature in order to cut things with a stack cutter. The order of things can get quite jumbled. 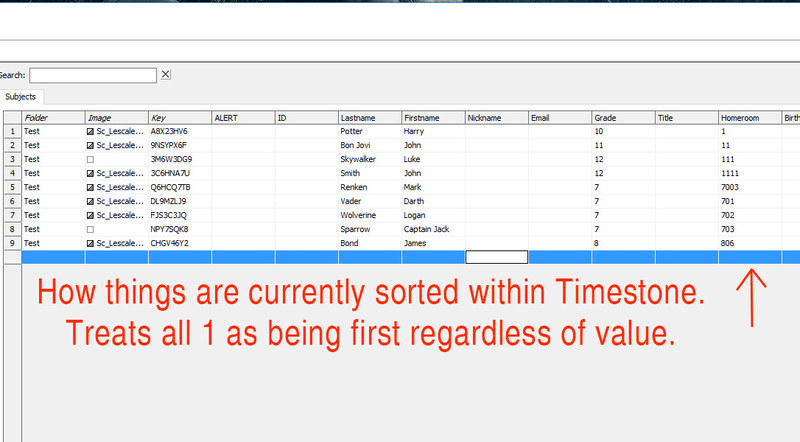 I have attached two screenshots to show how it currently sorts and how I think it should be work. It looks like your homeroom is field is a TEXT field in which case it is sorting correctly for a text field. If that field only ever contains numbers and you want it sorted like numbers then the field needs to be of INTEGER datatype. 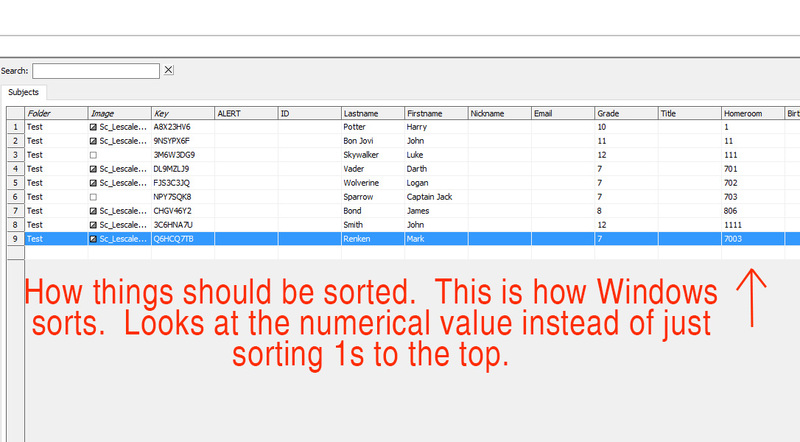 See the attached where the 'Sort' field is an Integer and is sorted ascending to achieve the result you want. If you change the field to Integer now, any text that might be in there in any jobs will be erased. If you want to go down this path I suggest you make a new field for future jobs and leave current field alone.